1. POLST Information: CAUTION not to check boxes when admitted to hospital, doctor’s office, ER or health facility. What Does Child Euthanasia Have to Do with the New Film, God’s Not Dead? http://thechristianworldview.com/tcwblog/archives/6382#sthash.bKZAjIAO.lqnnIHro The purpose of the “Simplicity Project” is to create Advocacy and Awareness for the most vulnerable. Through personal experience which ended in tragedy, my eyes were unwittingly opened to shocking changes that have occurred ever so quickly in our culture. Joni Eareckson Tada brings some of this to light in her recent episode about euthanasia. Part 2: Is that hospice safe? http://www.tennessean.com/article/20130415/NEWS07/304150021/Patient-death-raises-issue-hospice-s-drug-regimenA local TN woman thinks her mother died because Nashville’s Alive Hospice nursing staff began a regimen of powerful anti psychotic drugs that federal officials have warned can have serious and potentially fatal effects on the elderly. This is occurring every day, even against patient’s wishes, EVEN in Nashville, TN but is still very much under the radar. Informed is an introductory tool to help patients, families and surrogates more fully participate in the interaction with doctors and other health professionals. Topics include: Advanced Directives, POLST, Ventilators, Hospice care and more. Request copies of our publication Informed for you and your loved ones! Rita Marker, a practicing attorney who has been their executive director since it began in l987. Rita was among the first to be profiled in the American Medical Association’s American Medical News during its series on “people making news in an era of dramatic change in medicine.” The International Task Force on Euthanasia and Assisted Suicide is a 501(c)(3) non-profit educational organization that concerns itself with the issues of euthanasia, doctor-prescribed suicide, advance directives, assisted suicide proposals, “right-to-die” cases, disability rights, pain control, and related bioethical issues. They oppose the legalization of euthanasia. The executive director of the Task Force is lawyer, Rita Marker, of Deadly Compassion: The Death of Ann Humphry and the Truth About Euthanasia, which puts forth an account of the death of the wife of euthanasia advocate Derek Humphry. In January 2011, The International Task Force changed its name to The Patients Rights Council. Their Frank Reed Memorial Library maintains the most and up-to-date collection in the world of books as well as periodical, newspaper and professional journal articles devoted to euthanasia, doctor-prescribed suicide and end-of-life issues. 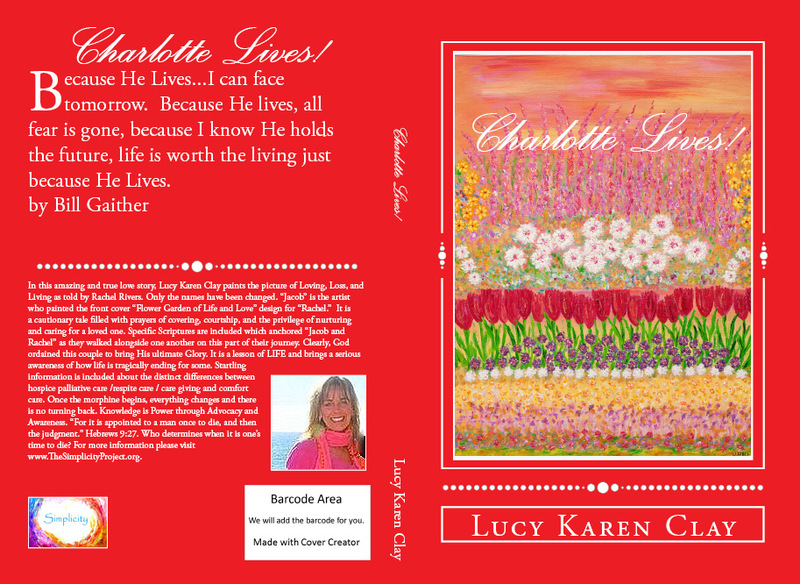 “Lucy, I have finished reading Charlotte Lives! . It is an extraordinary work of love, written with boldness, transparency, passion and uncompromising honesty. The book is both a deeply private journal and an expose’ of some very ugly conditions and wrong motives in the fringe health care industry. 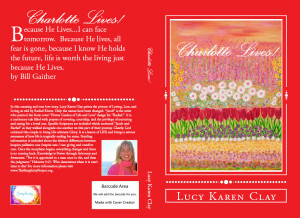 It is liberally sprinkled with beautiful artwork, provocative sidebars and gold nuggets of spiritual wisdom.